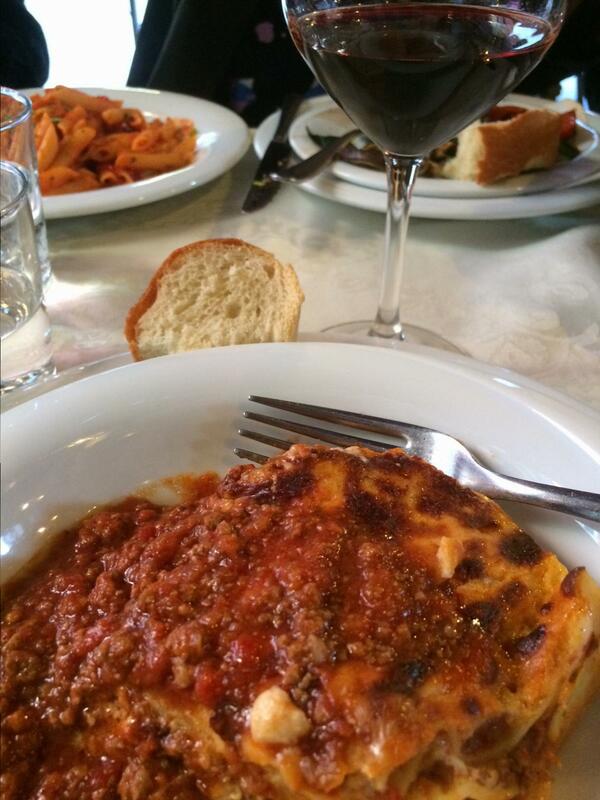 Luscious lasagna, crunchy bread and a deep, rich red wine. Venice, Italy. On the ITALY tour. 20 April 2015.